Website owners face increasingly technical issues for targeting their customers, maintaining websites, optimizing keywords and monitoring online performance. Ordering website testing, research and SEO services can prove expensive when companies order these services piecemeal, and trying to handle all the issues could prove impossible even for a website super hero. Moz.com, which formerly was called SEOmoz, has expanded its SEO services to include comprehensive website management tools on a single platform at the affordable price of $99 per month. You can avoid performance issues that cause you to lose customers, strengthen your efforts to attract viewers, analyze your website activity and research the social media and online buzz about topics related to your business by signing up for this effective suite of marketing and SEO services. Moz offers a variety of SEO and analytical tools that provide astonishing cost-value benefits for website owners, creative bloggers and affiliate marketers. You can become a super hero by optimizing websites to generate more traffic and stronger sales conversions. Online marketing is very competitive, so staying at the top of your game is critical for success. Moz supplies the tools for multiple website management tasks for just $99 per month. Keyword analysis: Find out which keywords your customers are using in their searches and optimize your site based on the results. Social media monitoring: Moz’s Fresh Web Explorer searches the popular social media forums for relevant news, industry information, mentions of your company and other material that helps you engage viewers. On-Page Grader: This tool detects problems with loading, video playbacks, broken links and other site problems that can cause viewers to abandon your site. Rank Tracker: Google uses spiders and proprietary algorithms to rank the pages of your website, so Moz has created a similar set of tools that can help you refine your on-page and off-page ranking strategies. Analytics: Moz tracks all of your inbound and outbound relationships, social presence, branding efforts and conversion data and consolidates the information on one platform. Even the best websites can develop problems over time that include attracting bad links, slowing down, experiencing down time and losing rankings to competitors. The comprehensive website management tools provided by Moz allow you to monitor how well your website performs over time, detect errors and make changes to improve SEO performance, build customer loyalty, strengthen domain authority and detect technical problems. Moz service includes tools for researching your brand, conducting social analysis, keeping track of the competition and finding out which links are most valuable to your business. The comprehensive customer dashboard makes it easy to prospect for leads, optimize keywords, track links and research your brand’s reputation. Web super heroes work hard to provide valuable content for their online customers and core constituencies, but changes in Google algorithms can generate unintended consequences that cost companies their online reputations and rankings. Fortunately, Moz.com is a reliable super hero’s sidekick who can take care of challenging Google when artificial algorithms make mistakes. 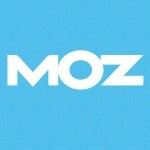 Moz.com services include analyzing inbound links over which you might not have control and removing them. Proactive maintenance catches many errors and facilitates timely disavowals of questionable links so that Google doesn’t penalize your site. Tactics will always remain fluid because Google continually refines its processes to improve user experiences and fight black hat schemes, so you need someone to monitor changes and react to initiatives. Paying only $99 per month for an array of top-level SEO services is an incredible bargain, and Moz.com service would remain beneficial for companies even if the monthly fees were considerably more expensive. An army of penguins, pandas, saber-toothed tigers and mastodons could march into your camp at any time, and super heroes can’t stay vigilant 24/7 but need some down time to recharge their energies. You need a vigilant, neutral partner to assess quality, react to competitors’ strategies and respond to roll-outs of new search-ranking algorithms. Moz offers the features you need to protect your site, improve customer experiences, attract more viewers and raise sales-conversion rates. Charlotte Gilbert is from Savannah, Georgia and has an extensive education in a variety of areas. She has served with the United States Navy and the United States Air Force Special Operations Command Headquarters Level.